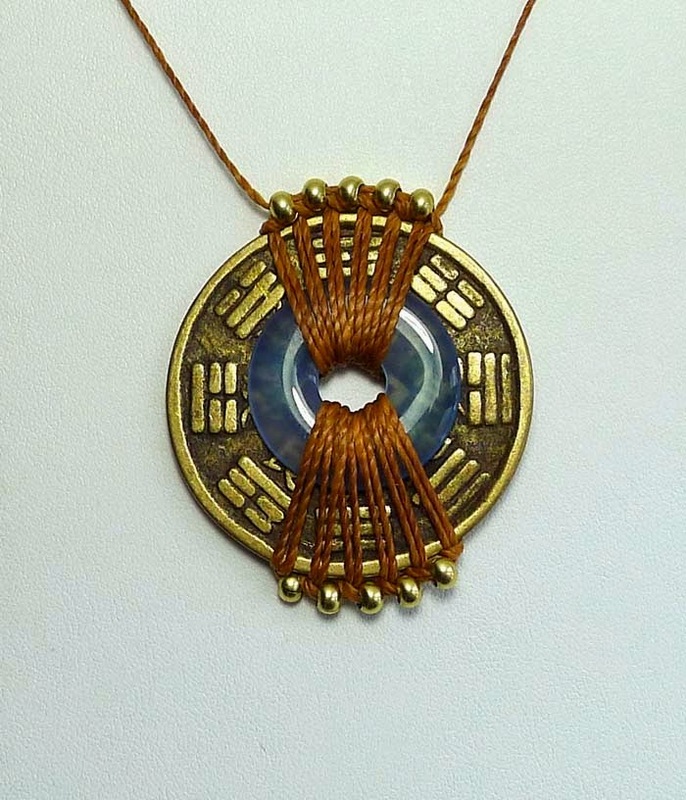 Here's a necklace to dance in, or make you feel like dancing. 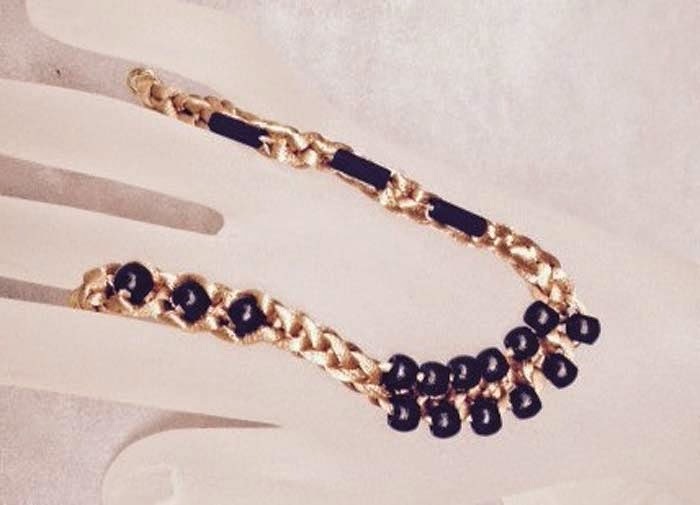 A black velvet cord - it's already a necklace - so that's about as easy as it gets. Sure, you can add a single pendant - you don't need me to coach you on that. How about adding a bit more though? The beads will fit over the endn connector and the chain, but not over the jump ring, so you will need to remove the jumpring. Remember, always twist a jumpring open sideways. Next, you will add a tassel. The jumprings that come on the tassels will not fit over the end, so open a jumpring, add the tassel, and the velvet cord, and then close the jumpring. Let's add some length and make these tassels more varied in length. Add a jumpring to the next tassel, and then add another, which is the one you will use to hang on the velvet cord. For the centre tassel, add two jumprings, then add a third and use that to attach to the cord. Then reverse your way out, bead, tassel w 2 jumprings, bead, tassel w one extra jumpring, bead. Replace the jumpring at the end connector and reattach the extender chain, and you are done! The velvet cord is pretty good, but if you tend to wear a necklace to death, i.e. day in and day out for months, then this will wear out. You can then replace the cord, or remake it with leather instead. Sale ends on Wed midnight. 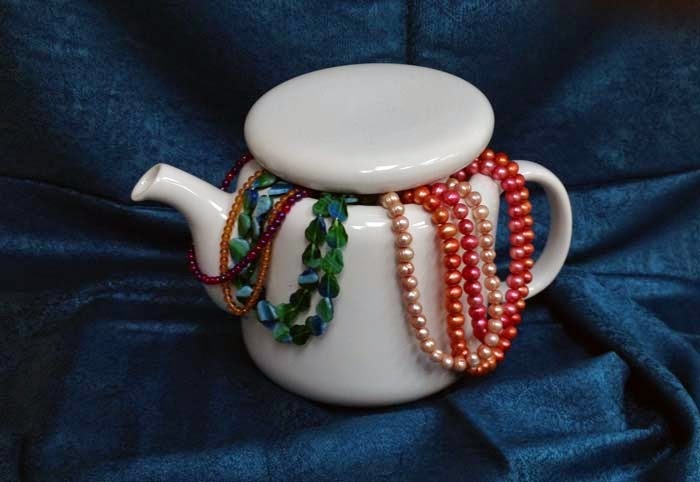 Well - after the mayhem of the past few weeks - shows and sale and etc., you'd think it would be a good time to just sit down with some beads and do something beady and soothing. Well - for you - sure! That's a great idea. For us - no - we are still crazy and trying to deliver as much beady goodness as possible to you! So what do we have that is new this week? Well - how about new 4 mm Firepolish? Because just when you thought there could not possibly be any more colours in this classic workhorse bead - BINGO - there are! 25 new colours actually! From Merlot to Granite, a whole new, exciting bunch of colours in 4 mm Firepolish! 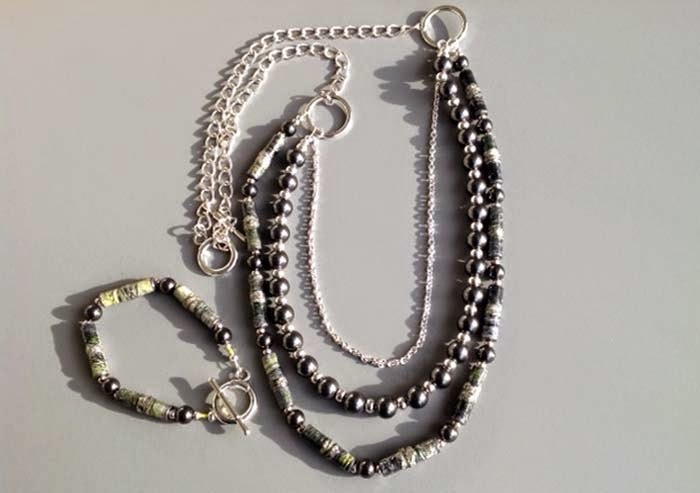 If you are looking for something bigger and bolder, then check out the new Antique English cut - in 10 mm and even bigger 13.5 mm - these "rough" looking beads evoke an older time - when things were made by hand. 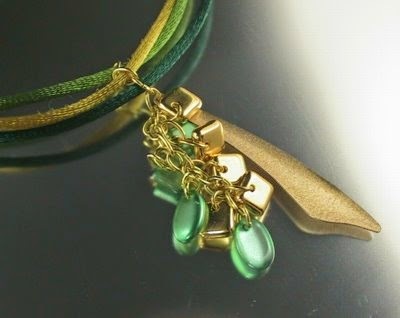 But the colours are thoroughly modern, from Lime Gold to Hummingbird. These are exciting - these are new and were made just for us. 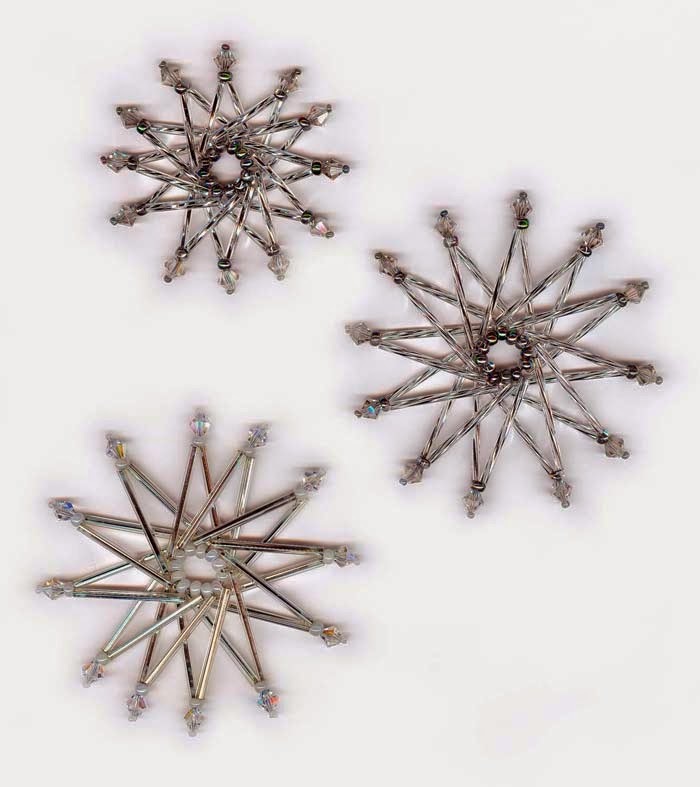 These are Flat Pad Links - the idea is that you embellish them by gluing a stone or cabochon to them, cover them with epoxy clay and rhinestones, or whatever your imagination concocts, and then link them together with large jumpings. 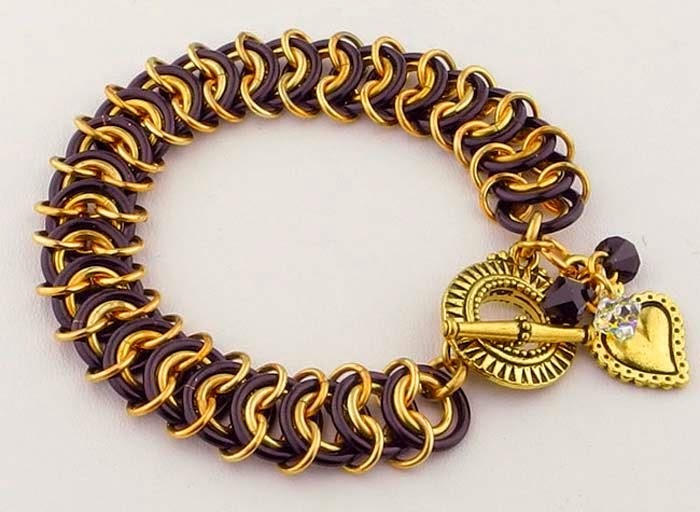 We've seen bracelets made with this technique - but never the individual components available - so we had them made. 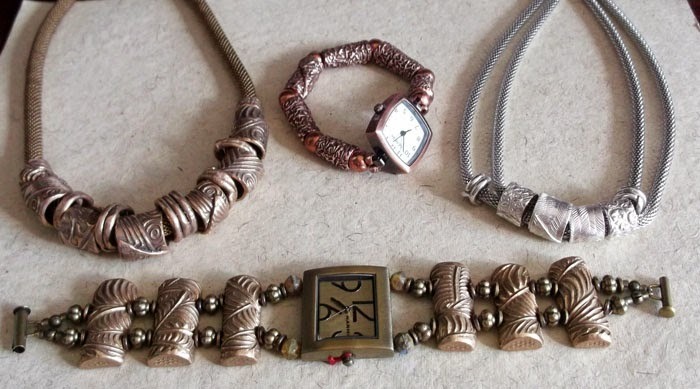 Available in Silver, Antiqued Silver, Antiqued Copper, and Bright Brass. The new Swarovski colours are coming in too, and we are starting out with some Smokey Mauve. Smokey Mauve is a subtle mauvey colour, hard to photograph, but looks more mauve in real life than it does in these pictures. And finally - while there is a whole lot more in this 130 item update - I'mma gonna let you get back to your beading and dreaming, with this - the Keep on Truckin' Dragon - which I maintain that no one under the age of 30 is going to understand the reference, and others around here maintain that Generation Y will get it. Other whimsical metal charms here! 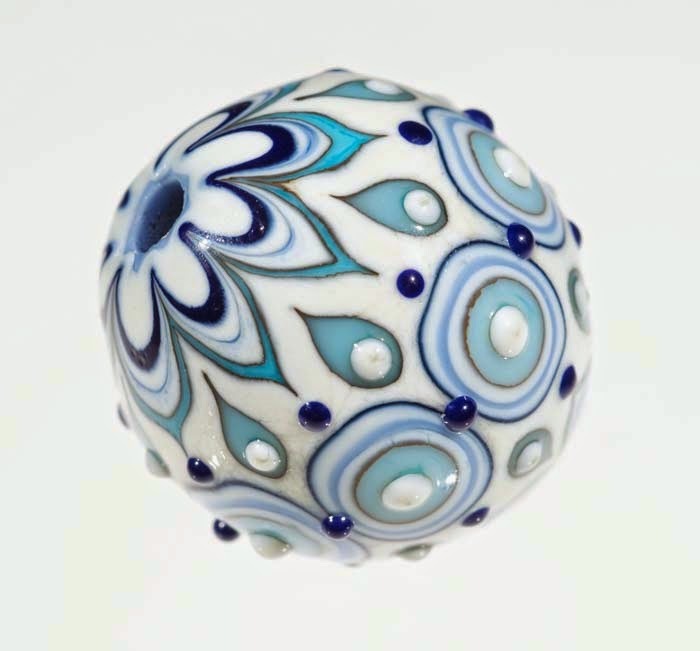 Keep beading your blues away with all the new items here! Download this free PDF e-book from Swarovski with some lovely patterns and designs for jewelry to make (the Tangerine Dream earrings on page 15 are totally yummy.) Browse the innovative designs and sometimes outrageous use of crystals for ideas and inspirations for your own creations, or just use this designs outright! The designs are based on interpretations of four themes: Classic, Romantic, Progressive and Glamour. In the Classic theme we are revisiting the concept of nostalgia and past care-freeness. In the Romantic theme we are rediscovering our most primal and ancient forms of existence. In the Progressive theme we are projecting a future filled with cultural blending. In the Glamour theme we are relishing a sensual exotic past. We have most of the Swarovski components, or will have soon, and if you see something that you can't find, you can email us and we'll see if we can find it or suggest a substitute. 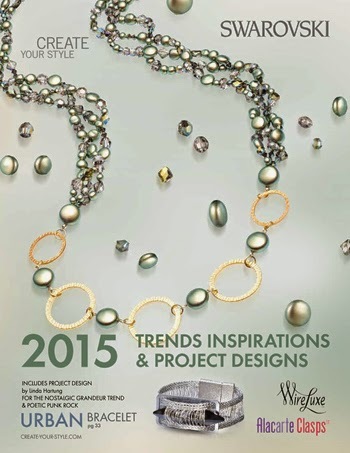 In addition, on page 68 - there is information on the Swarovski-sponsored Create Your Style contest in 2015. 'Tis the Season - to Treat Yourself! December is coming up quickly and we'll all soon be in the midst of holiday preparations - running to the mall for gifts, baking those family-favourite goodies, cleaning our homes from top to bottom to get ready for guests and just trying to get too much done amidst our usual activities and chores. Whoa, slow down! We need to take some time for ourselves too! 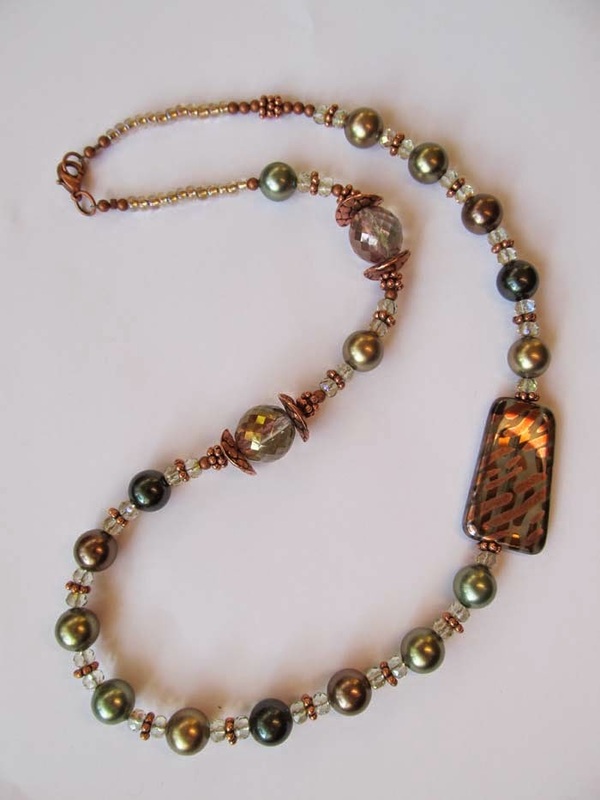 I invite you to come an take a class during December and take three hours to catch your breath, sit down with fellow beaders and jewellery makers, and simply get away from all. 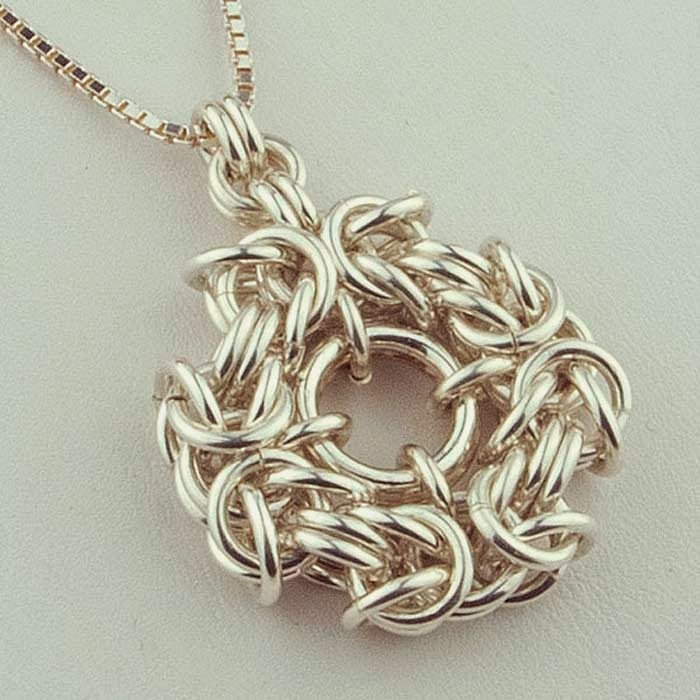 We have a wide array of classes during December including a new Cavandoli project from Angela Peace and two chainmaille projects by Marilyn Gardiner. 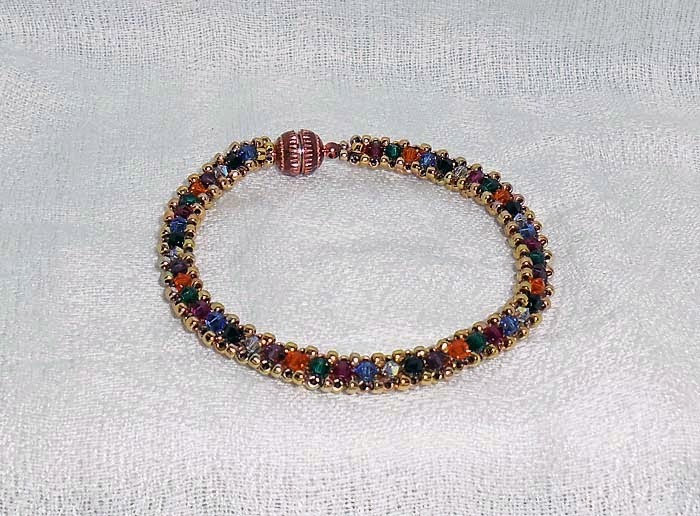 Roxann Blazetich-Ozols brings us a new way of adding beads using her Ducette tool (a wonderful new tool for fibrework); Sureka Sriharan is also teaching a tennis bracelet project using right-angle weave. 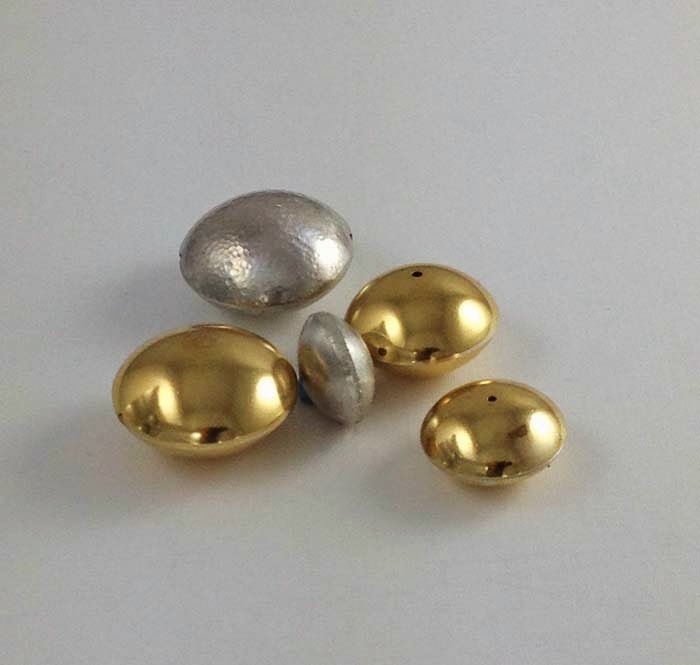 Liz Reynolds bring us another project using Hadar's Clays to create metal clay tubes and hollow forms. 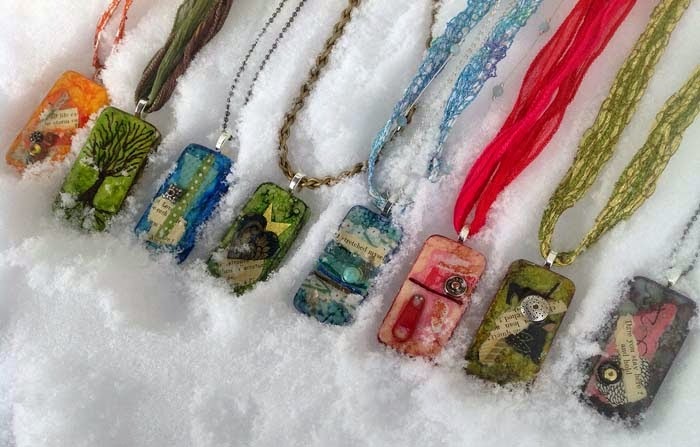 Iris Rogers Melamed has brought back her Hot Connections: Connecting Components class -- perfect to create gifts for your friends and family. There are other classes and projects to with Anne Marie Desaulniers, Amy Waldman-Smith and Maria Rypan too! We also can't forget our new Holiday Class Bash -- three classes in one evening! 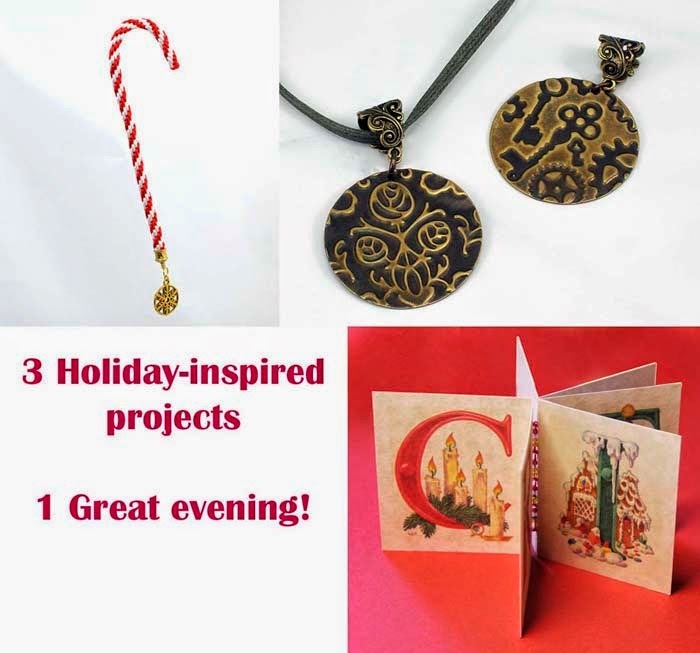 Students will rotate through three 1 hour classes with three instructors to create three holiday-inspired projects! Complete information about each class including course descriptions, class and kit fees are found on the website. 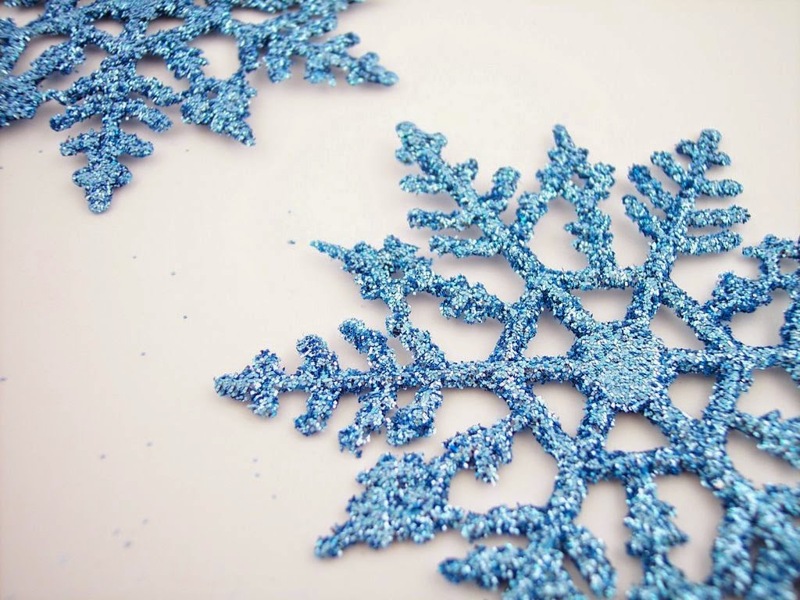 Follow the Classes link to the December class calendar. BeadFX is proud to provide these FREE sessions. In return, we ask that you please use our merchandise in our facility. It's coming and soon it will be finally here. Are you excited or are you upset? Whether or not we like or accept it - it's not gonna change. It seems as though it just ended and we already feel its presence. Yes it's coming but I'm not fretting cause I'm gone step out in style and represent. It's coming, yes winter is coming. This necklace was made using simple wire wrapping and dangles were attached to the base of the second White Howlite stone. String it on white leather and attach the end cup at each end of the leather, extender chain on one end and a lobster on the other and enjoy!!!! Sometimes it's a struggle to find holiday jewellery that is a little more subtle and doesn't scream typical Christmas. But, I think you can wear these earrings with everything including that little black dress to that special holiday event or party! The concept of the design is simple -- use various sizes of spacers to create the basic shape stacked onto an eyepin. I've topped it off with a crystal rondelle and sparkling Swarovski bicone. From the eyepin, I've dangled a briolette -- just for more sparkle! The spacers have quite large holes so I used size 6/0, size 11/0 and size 8/0 seed beads (pull them from your stash -- any colour will do because you don't see them!) and drop the down the middle of the spacers. It will magically centre the spacers and put them into place. 2. Create a wrapped loop with the eyepin, creating the tree shape. 4. Attach it all to your favourite pair of ear wires. Create a second one to complete the pair. 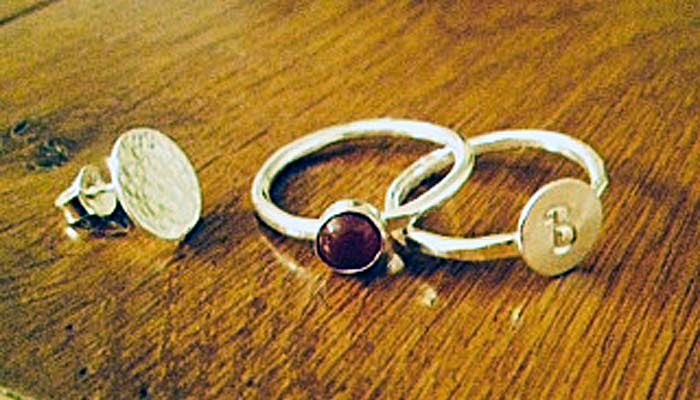 As an option, create a third piece and turn it into a pendant and put it onto a simple silver chain -- a perfect set! One day left ... get stoned! Join us at our Trunk Sale!